Cecil and Stella Renfield are living life to the limit! They both served in WWII, they’ve hang-glided, they claim to be the oldest couple who have skydived day and night (a fact we have no reason to dispute! ), and they’ve been married for 73 years! 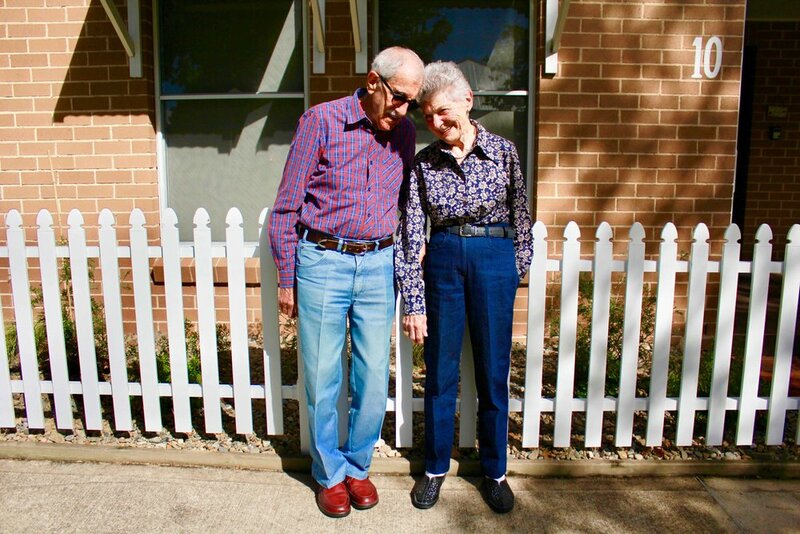 At 96 and 91 respectively, Cecil and Stella Renfield of Tullimbar have lived a happy and spirited life together. The couple met at a dance in May 1944, six weeks before D-Day in Southsea, England, where the allied forces were massing, before launching the combined assault on Nazi-occupied France. In what seems a fateful coincidence, the day Cecil and Stella first glanced in each other’s direction, Stella was a South African serving in the English forces, and Cecil an Englishman in the South African forces. When Stella’s mum came to, and realised what the house call was actually for, she still wasn’t happy. “I had to phone my sister to persuade my mother to agree to the marriage,” Stella laughs. They wed in England and were both back on duty 47 hours later. When the war ended, Cecil was sent back to South Africa and eventually Stella joined him. That’s where they started their lives together – living in Johannesburg for nine years, “a big, dizzy city,” which Stella hated, before moving to Cape Town where they lived for 32 contented years. After one of their two daughters met an Australian while travelling, she came to the Illawarra to be with him, liked it here, then moved to Australia permanently. “I still think we’re bloody fools,” Cecil jokes. That wasn’t the end of their extreme sporting career. For their 73rd wedding anniversary, they signed up to skydive, and kept it a secret from their family, their neighbours… everyone! They jumped at Stuart Park in Wollongong during the day, and had so much fun, that they organised to skydive again at night! On top of these daredevil achievements, impressively the pair is self-sufficient, and live without help in their beautiful home. “Despite our ancient status, we still do all our housework,” Cecil says. And I still cook him rotten meals,” adds Stella. “They’re actually getting worse, I think.